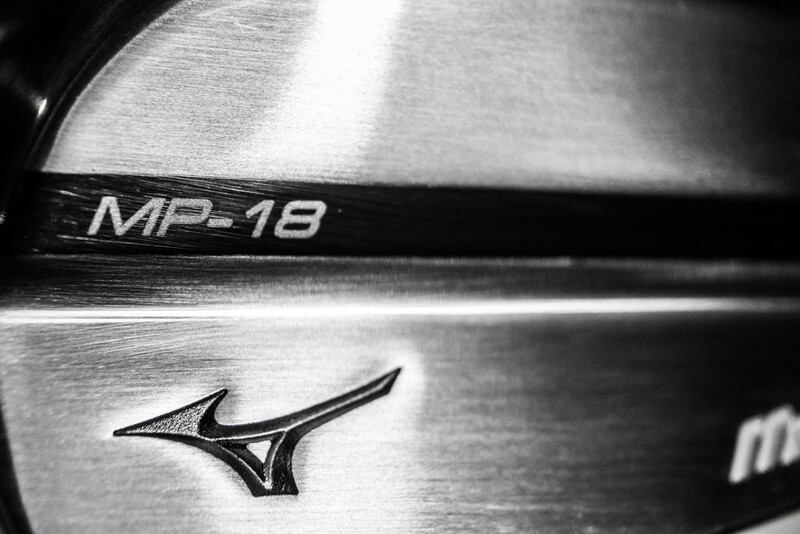 The Mizuno MP-18 irons match their excellent design with even better performance. 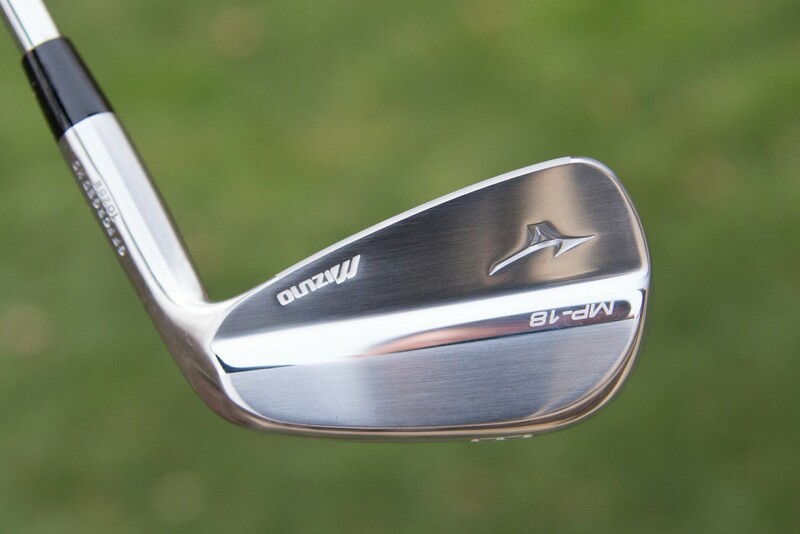 “Irons to touch your soul.” That is the tagline for the Mizuno MP-18 irons released recently. I’ve been playing a set of Mizuno irons, except for maybe a year, for the past 20 years starting with the T-Zoids so I’m guessing my soul is their target audience. I’ve always looked forward to seeing what they have in store with their latest releases. Back in 2014 I had a chance to review the MP-4’s and have had them in the bag since. This year, they introduced the MP-18’s as the latest update to their catalog of irons. I was able to get my hands on a progressive set of both the muscle back and split cavity (SC) irons. More and more players are using this type of setup and, with the introduction of new irons and technology, I thought it was time to give them both a try. How do the new MP-18’s stand up to their predecessors? Do they touch my soul? Read on to find out. For this review, I received both the MP-18 (7I-PW) and the MP-18 SC (3I-6I). As I mentioned, more and more players are using this type of setup and it allowed me to test out more than just one type of MP-18. 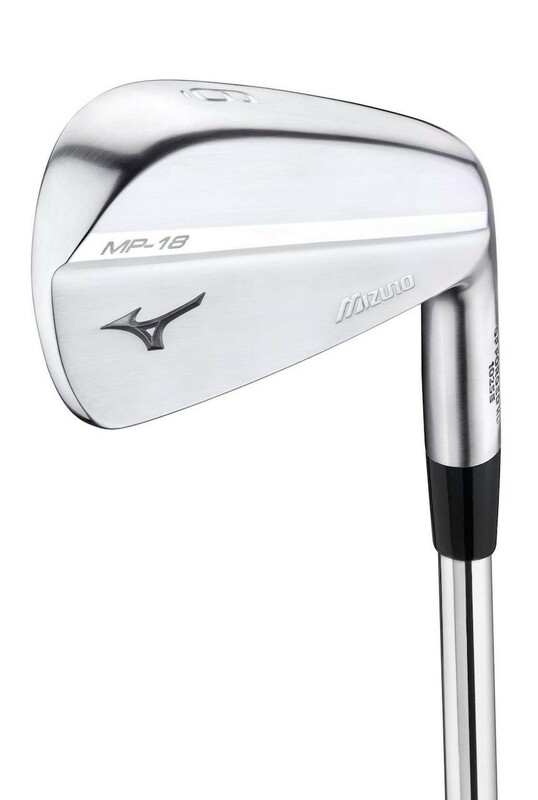 The first thing to note in the design of the MP-18’s is that Mizuno made sure that as players mixed the different types of irons that the profile of the iron didn’t change other than the size. From the top view, the irons nearly look identical. Even the lofts are nearly the same as well so it’s very easy to craft a set of different types. As for materials, the irons are forged from 1025 Pure Select Mild Carbon. This is a slight deviation from what Mizuno has been doing in the past few years which is using Boron Steel. Mizuno has admitted that they are “resetting” the MP line and going back to the roots of the MP. With the change in steel they added a new forging process called Grain Flow Forged HD – with the HD standing for High Density. This forging process is allowing Mizuno to increase the grain density in the impact area which gives the player a soft but solid and consistent feel. This is where Mizuno, in my opinion, spent the most time and did the best job with the MP-18’s. The stated goal was to make a throwback to Mizuno’s in years past. Combining the aforementioned newer technology with the look from years ago. I’ve got to say that they did a phenomenal job. The MP-18’s look even better up close. First off, they are absolutely gorgeous irons. Especially the muscle backs. Heck, I even love the MP-SC’s. I’ve always been a huge fan of Mizuno’s and have loved the MP-4’s that have been in my bag for years now. The MP-18’s make me admire the irons even more. 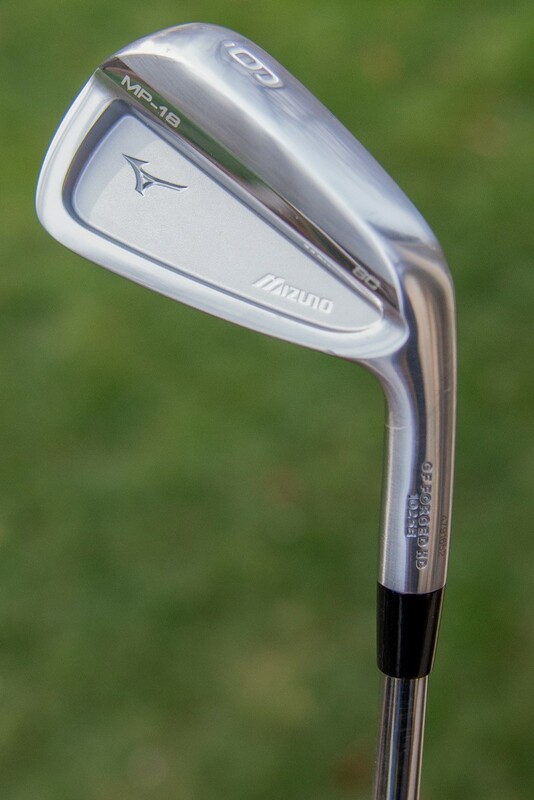 I love the, what Mizuno calls “elegant, yet durable non-glare finish.” These things aren’t polished like irons of the past and have that refined yet not quite milled look to them. I’ve already drooled over the back of the clubs and the satin nickel chrome finish. Especially the muscle back ones. The lines on these irons and finish are so clean and beautiful. Hand ground by Mizuno master craftsmen? Check. As mentioned above, at setup I can’t really notice much difference than my previous clubs. The MP-18’s feel like most other Mizuno irons I’ve played in the past. Once past address, I was evaluating the feel at impact. Could I sense any difference than previous generations with the new Grain Flow Forged HD? After a handful of shots with the muscle backs and swapping back to the old irons, you could sense a slight difference. The MP-18’s were a bit softer but not so soft that I didn’t have the feedback that I look for in my irons to know where I’m hitting it on the face. Even so, the irons have that solid feel and great sound when struck well. 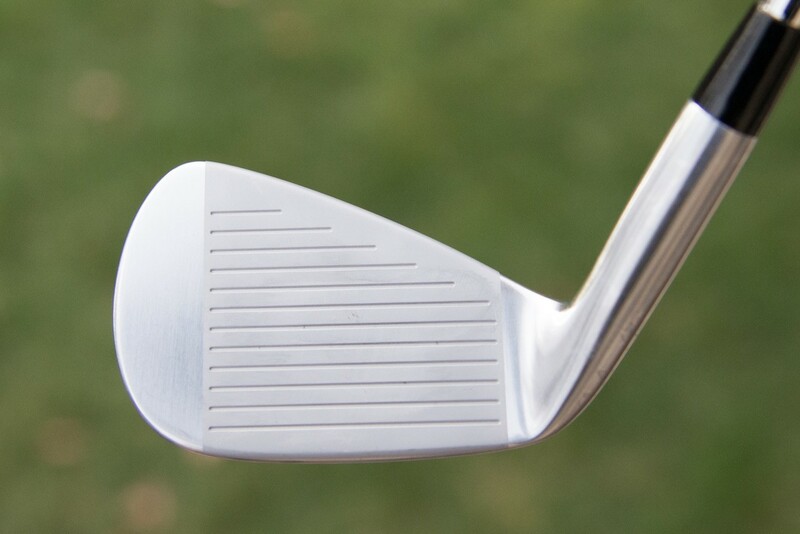 For the SC’s, the feel is even softer as you would expect out of the split cavity irons. When I compared the 5 irons of my old set and SC’s the difference was even greater…especially on mishits. The new MP-18 SC’s have a much more forgiving and softer feel than my old MP-4’s. I still like that the feedback on those mishits was there. The feel from the muscle back MP-18’s was amazing. As for performance, I can’t really tell you that there was any gain in distance or control between the new and old muscle back irons. What I can say and have noticed is that I feel I’m able to control the ball a bit better and my bad shots don’t seem to be as much off line as they have in the past. I’ve been extremely pleased with how these clubs have performed. The ballflight is similar but the shot dispersion has seemed to come in a bit. The big difference for me was adding the SC’s to my longer irons. The delta there has been much more noticeable just in the fact that they are a bit more forgiving. Also, I feel like I’m launching the ball a bit higher with these irons which is a welcome change for a (normally) lower-launching player. Long irons are some of the hardest irons to hit in the bag and any sort of help and advantage is very welcome. I’ve hit quite a few 5-irons on the range and been really happy with the higher-launching, yet still penetrating flight I’m getting now. Negatives? Don’t really have any now. In my handful of rounds I’ve played this year I can truly only remember one green I badly missed with any iron. That type of result will help your scoring quite a bit. I think I made the right decision to keep the muscle back 7-iron. It was a flip of the coin on that one to go to the SC or not but the transition is working out well. 3I     21°       59.50°     38.75"    0.102"
4I     24°       60.00°     38.25"    0.098"
5I     27°       60.50°     37.75"    0.094"
6I     30°       61.00°     37.25"    0.091"
7I     34°       61.50°     36.75"    0.087"
8I     38°       62.00°     36.25"    0.083"
9I     42°       62.50°     35.75"    0.079"
PW     46°       63.00°     35.50"    0.075"
Current retail for 3-PW set of the MP-18’s are $1200 or $150 per club for any of the different styles. As of now, you can only get the MP-18 SC irons in right-handed. The standard grip is the Golf Pride Multicompound White/Black grip. Overall, I’m giving Muzuno two emphatic thumbs up for the MP-18 irons. First off, these things look absolutely beautiful and great in my bag. But not only do they look good but they perform as you would expect a Mizuno iron to perform. Extremely solid and a step up in performance from previous generations. Throw on top of that of the MP-18 SC’s added forgiveness for the longer irons and I now have a set of irons that give me the instant feedback of shorter irons with long irons that I have a bit more confidence in and produce an amazing ball flight. I can’t think of a better combination than that. Only left handed for the SC? Typo? 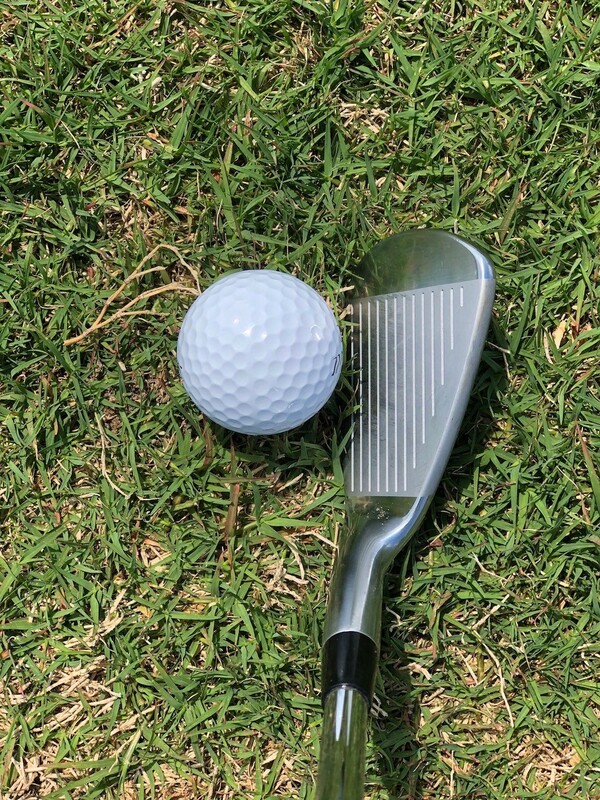 They’re nice clubs if you can justify spending the extra money, but there are many cheaper options that are just as functional. I used my cousins new Mizuno, and I can’t say I personally noticed any difference in performance. Sure was a looker though. Just a shame Mizuno won’t make any left handed sets for their infamous muscle backs/blades…or now the sc I guess. I guess I’ll never get to know what all the ‘Zuno heads’ gloat about. Nice clubs w good review but they’re not musclebacks.